Mintalar Dental offers family dental care, cosmetic dentistry, implants, crowns, and bridges and orthodontics to Minneapolis, Brooklyn Center, Golden Valley, New Hope, Robbinsdale, Maple Grove, and all surrounding areas. Please scroll through some pictures of our patients below. Mintalar Family Dental offers general dentistry as well as orthodontics to Minneapolis, Brooklyn Center, Golden Valley, and the surrounding areas in Minnesota. Imagine the time you will save with Mintalar Dental instead of driving your child to separate locations for dental cleanings and orthodontist visits. We offer comprehensive treatment for you and your adolescent. Think of it as "one stop shopping" when it comes to all your children's dental needs. And, be sure to ask about clear braces. Many adults are making the choice to get braces for themselves as well. 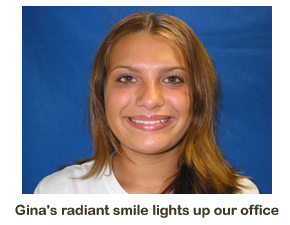 With clear braces, you can feel less self-conscious and get that smile you've always wanted. Ask us for more details. Oral cancer claims the lives of thousands of Americans every year, causing more deaths than Hodgkin’s disease, cervical cancer, and skin cancer. 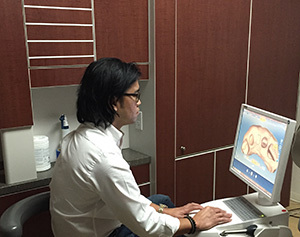 As a dentist, oral cancer is of big concern to Dr. Eric and he makes patient screenings a priority. Early detection of oral cancer provides patients with the best chance for a successful recovery. That is why our practice employs the use of ViziLite Plus®, an FDA-approved technology that screens patients for oral cancer. With the ViziLite Plus® standard of care, we are able to offer our patients the most thorough oral cancer examination possible. A pain-free and non-invasive technology, ViziLite Plus® allows Dr. Eric to detect, evaluate, and monitor areas of concern in their beginning stages. The ability to see suspicious areas with ViziLite Plus® means Dr. Eric can diagnose oral cancer before the condition progresses to more serious and possibly life-threatening stages. We offer ViziLite Plus® oral cancer screenings to all patients at every check-up. For more information about ViziLite Plus®, contact our office for a brochure. Want a brighter smile? Whitening your teeth may be one of the easiest things you could do to improve your appearance. We now have the Zoom 2 in office whitening system that whitens your teeth in one visit in our office. Studies show more people are keeping their teeth for a lifetime, and as you age, your teeth age, too. For at-home bleaching, we'll provide you with a special custom-fitted bleaching tray and a whitening gel. For just an hour a day for a couple of weeks or less, the harmless tooth whitening formula can make a big difference in your smile. 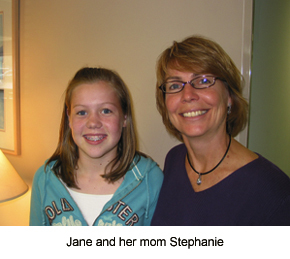 To see before and after photos visit our smile gallery page. Fact: Oral cancer is still a major contributor to a growing number of deaths each year. It's true, and the statistics are overwhelming. This is why Dr. Eric Mintalar stresses the value of preventative care with ViziLite Plus, a pain-free and non-invasive option for early oral cancer screenings. The amazing technology enables detection of areas of concern, and allows for future monitoring of the areas in question. Our staff encourages all our patients to be proactive with their dental health, and make pre-screening a priority at your next appointment. Mintalar Family Dental offers all-inclusive, one-stop dental excellence for patients, both current and future. Our extensive list of services includes everything from routine prophylaxis, deep periodontal cleanings to crowns, and dentures to dental implants. We also offer complete orthodontics, porcelain veneers, and one-visit teeth whitening to make sure your smile is as perfect as possible. 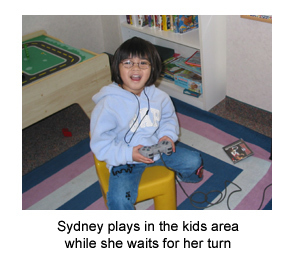 For our younger patients, as well as for those still young-at-heart, we provide video games in our waiting rooms, as well as movies for all ages to watch while they relax before their appointment. 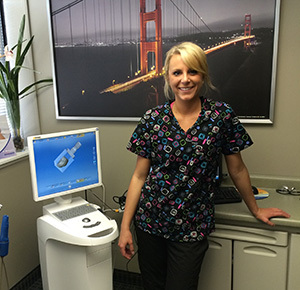 CEREC is a high-tech instrument that helps dentists restore damaged teeth. 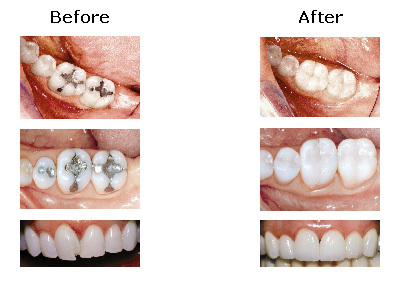 CEREC stands for Chairside Economical Restoration of Esthetic Ceramics. Today, technology is changing our everyday lives. Many people aren’t aware that technology also is impacting dentistry in new and exciting ways. Cutting-edge innovations in dental instruments are requiring less time in the dental chair, causing less discomfort, and creating satisfying results. First, the tooth and the surrounding area is scanned using a special camera. No need to take a messy impression and send it to the lab. The dentist then works from the scanned photographs, which is actually a pin-sharp optical impression of the tooth. Computer Aided Design (CAD) technology helps the dentist design the restoration from the optical impression. The design is done chairside on a color monitor. Patients can watch the designing of the new restoration right in front of their eyes! Then, Computer Aided Manufacturing (CAM) creates the restoration while the patient waits. The tooth is milled from a milling unit like a 3-D printer from a block of ceramic material that matches the patients tooth color. CAM uses two high-speed diamond burs to mill a precise restoration. The milling takes about 10-15 minutes. Finally, the newly milled restoration is polished to a high glaze chair side or oven glazed for 15 minutes and then bonded to the tooth using an adhesive cement. everyone is always so nice here." 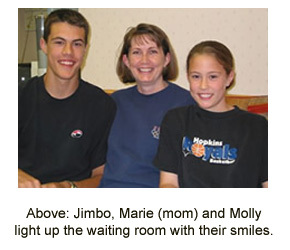 "I know the dentist is not everybody's favorite place to be but I dohave to say, Dr. Eric and his staff are WONDERFUL. His entire staff makes you feel at home and always welcome, they really do put the patient first. 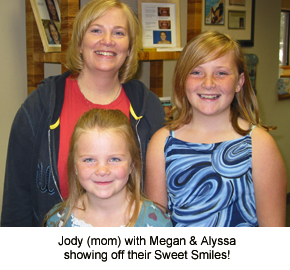 Dr. Eric, Sara, Kelley and Rachel are wonderful with my kids and they don't mind going to the dentist ... not to mention the little prizes they get at the end and you have Alicia and Sara at the front desk who always have a smile on their faces."